Moral of Aesops Fable: "It is easier to get into the enemy's toils than out again"
The Lion once gave out that he was sick unto death and summoned the animals to come and hear his last Will and Testament. So the Goat came to the Lion's cave, and stopped there listening for a long time. But soon the Lion seemed to recover, and came to the mouth of his cave, and saw the Fox, who had been waiting outside for some time. "Why do you not come to pay your respects to me?" said the Lion to the Fox. 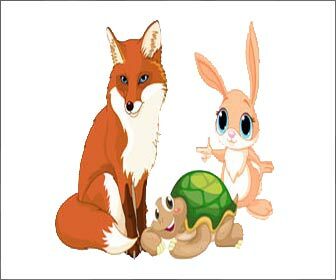 "I beg your Majesty's pardon," said the Fox, "but I noticed the track of the animals that have already come to you; and while I see many hoof-marks going in, I see none coming out. Till the animals that have entered your cave come out again I prefer to remain in the open air." "The Lion, the Fox, and the Beasts" and "The Sick Lion"